The GoWeek teams have been back in Colorado for just a few weeks and we're so excited to share some of their stories with you. This week's post is written by Senior, Kylie Anderson. 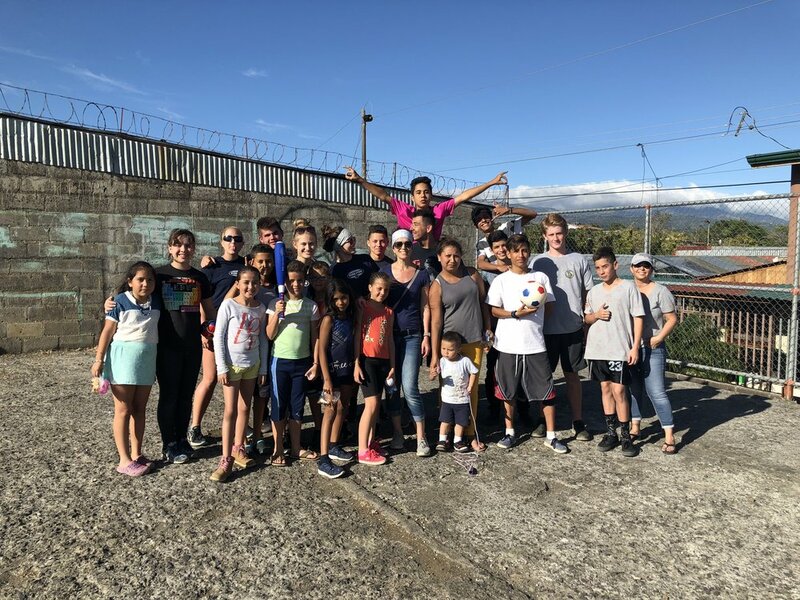 My name is Kylie Anderson, and I decided to go to Costa Rica for the 2018 GO Week. As soon as I decided to go, the nerves and fears began to sink in. All I could think was “I’m going out of the country. Without my parents. For a week. What am I doing? !” Well, lucky for me, God knew not only what I was doing, but what He was going to do. As we got closer to the trip, I began to grow more excited. The day that we left all I could think about was the little Costa Rican kids, the setting and nature of Costa Rica, and all the fun things we were going to get to do. As nervous as I was, my excitement was definitely driving my actions. I felt empowered, energized, and refreshed...and the week was just beginning. The first full day we were there, we went to our first site in the afternoon, called Linda Vista. As we stepped off the bus, a sudden nervousness struck me, and I became so worried. I couldn’t speak Spanish, and what if the kids didn’t like me? What if there were no kids at all? As all of this was going on in my head, I could hear birds chirping. I looked around, because it sounded like they were close. As I turned back around, suddenly there was a whole flock of bright green parakeets flying over us. It was like a scene from a movie, one of the most beautiful things I have ever seen in my life. Each day, God presented Himself to me in different ways, and made me so grateful for so many things. The next day, there were beautiful monarch butterflies all around us at our sites. The following day, we went to a waterfall, and looking up from the bottom of it, with the mist coming up was unlike anything I had ever seen before. Following that, I noticed the flowers, flowers of all different types, and the color in each of them so deep and so bright. The last days we were there, it was God presenting himself to me through the ocean. I have always felt a strong connection to the ocean, but this experience was so much deeper than normal. It was so cool for me to be able to experience God through His creation, because that was a completely new experience for me. It is so easy for us to be so caught up in technology, our heads always looking down at our phones. But the beauty of this trip was that there were no phones, there was no distractions.It was me and God. Although I was hesitant leaving my phone in a different country, it brought me so much closer to God. I was able to see God in a new way, able to grow in my faith, and able to build strong, deep friendships with the people around me, making unforgettable memories.